The study is based on a systematic review of 40 scholarly case studies published between 2005-2015 in peer-reviewed journals. As buildings throughout their life cycle account for circa 40% of total energy use in Europe, reducing energy use of the building stock is a key task. This task is, however, complicated by a range of factors, including slow renewal and renovation rates of buildings, multiple non-coordinated actors, conservative building practices and limited competence to innovate. A copy of the full paper is available to download via SpringerLink. 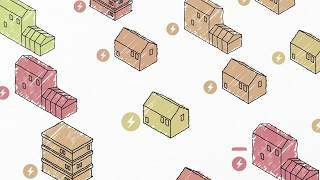 A brief overview of the End Use Energy Demand Centres (EUED) is available via the following link.